For a change I used two of the green trays (Ikea plastic green trays from a kids toy storage unit) just because I thought the green colour would go well with the animal/ start of autumn theme (at a recent trip to a farm the kids noticed that some of the leaves on two trees where changing colour so I have been informed that autumn is here). 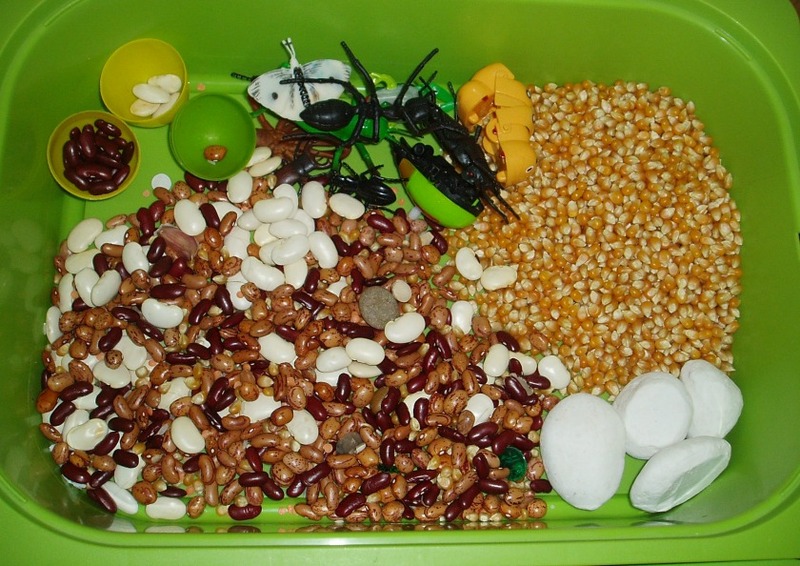 I have included photos of the two trays showing all the items separately but in reality as soon as the playing starts it all gets mixed up. some tree bark that I picked up at a local garden center. 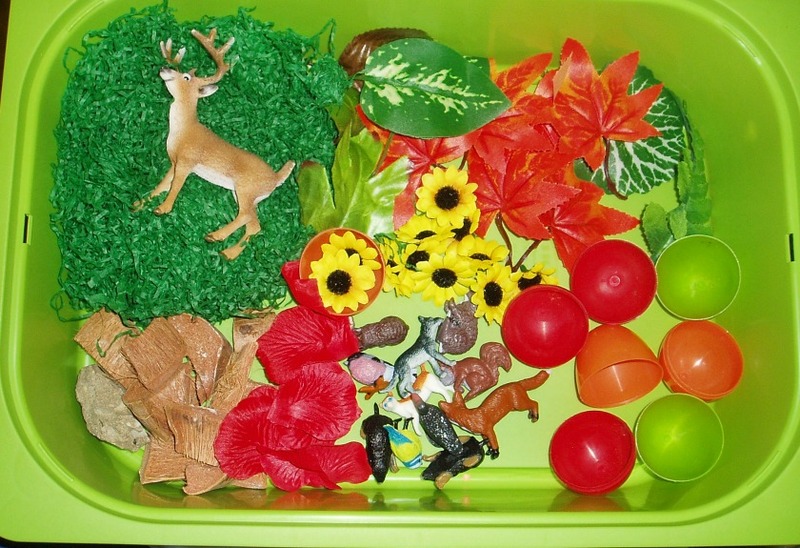 As soon as the kids saw the trays they immediately went for the toy animals and started making up stories using the animals. 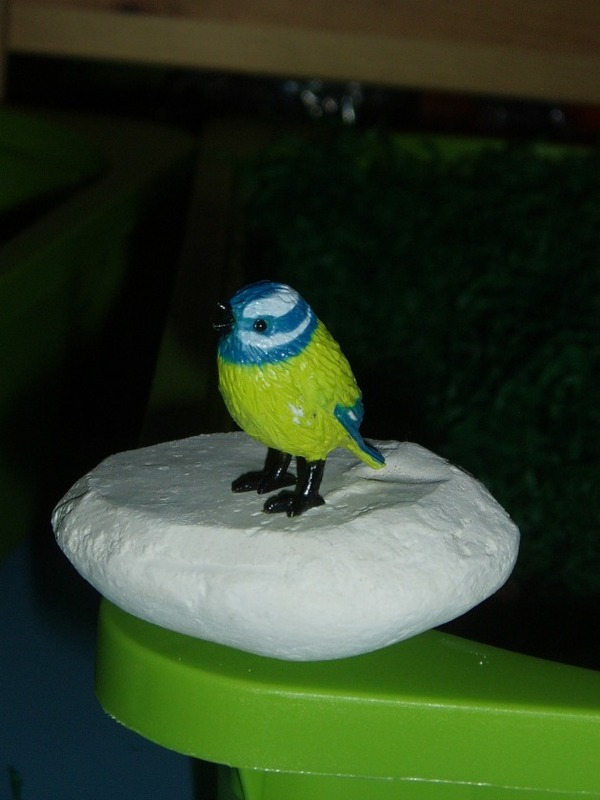 Blue quickly removed the green shredded paper and made one of the toy birds a nest while Pink hid the moles in the bean mixture. The 2 trays have kept the kids completely occupied for the last 2 hours and that is just on the first day. I am sure they will be played with a lot in the coming week. I do not have lots of photos of the kids playing with the tubs as I honestly did not want to distract them (I was just enjoying my cup of tea and some quiet time too much). 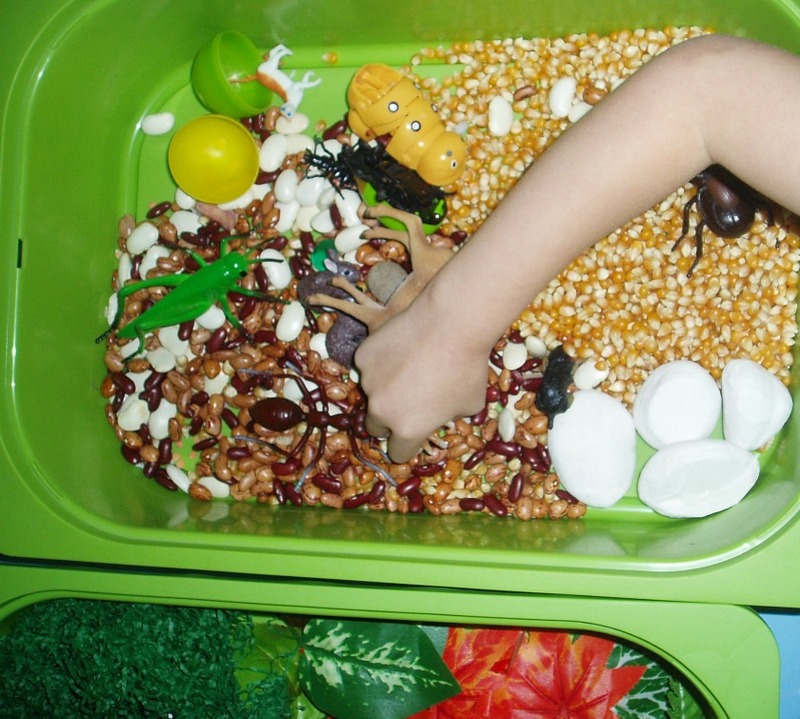 This entry was posted in Homeschooling, sensory play and tagged animals, bean tub, home ed, homeschooling, sensory play. Bookmark the permalink.